I was dealing with a spirit of anger. I grew up without a dad and that was the source of my anger. I also felt I was never good enough for ministry. I have served the Lord all my life but I had always dealt with insecurities. Since I felt I was not good enough I felt I was also not good for ministry. Today I was up tomorrow I was down. I became angry with the church and everything around me and did not know why. One day I cried out to God and asked why I could never go to the next step. Wondered for a long time if life just had a series of disappointments for me. Wondered if God cared. Felt like I was on my own and just like my earthly father wasn’t there God wasn’t either. I felt oppressed many times. I would try so hard not to be angry but the always some how ended up attracting an argumentative spirit. It was literally an attraction. I attracted this spirit of controversy and strife. I wasn’t successful in ministry. Wow, where do I begin? Immediately after I have seen the change in me. When things that in the past would make me angry now I just deal with it. I have peace. I don’t feel the burden and I have been able to manage instead of feeling hopeless. My prayer life and relationship with God is so different. I feel like he’s my dad. My desire for prayer and reading the Word has increased to a degree of relationship. It’s not a chore it’s a want. There has truly been a before and after in my life after encountering the above and beyond ministry. 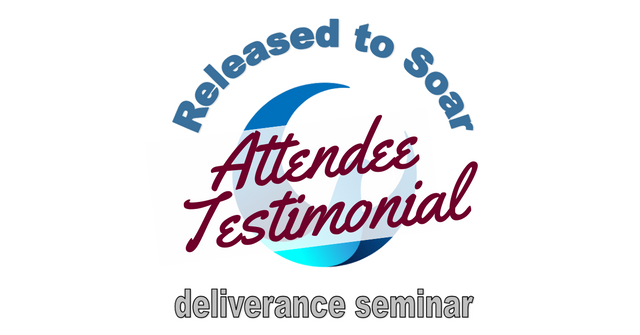 I have learned so much through the podcasts and the soar to deliver conference. I met both Phyllis and Don and these two people are so humble and truly have a passion for delievernce. I have always had a passion for deliverance but the way I was taught was through screaming and shouting at demons. What I have learned in such a short time with above and beyond is truly Gods answer to my prayers. The passion was their but the instruction manual was not clear. God directed me to this ministry after a casual conversation with a friend. When I heard the podcasts I knew they were different. Everything I heard in the podcasts were all backed up with the Word of God. While going through deliverance I discovered so many open doors in my life. This ministry helped me to close those doors. I am truly free to soar! Thank you Above & Beyond for your humbleness and spreading this message!